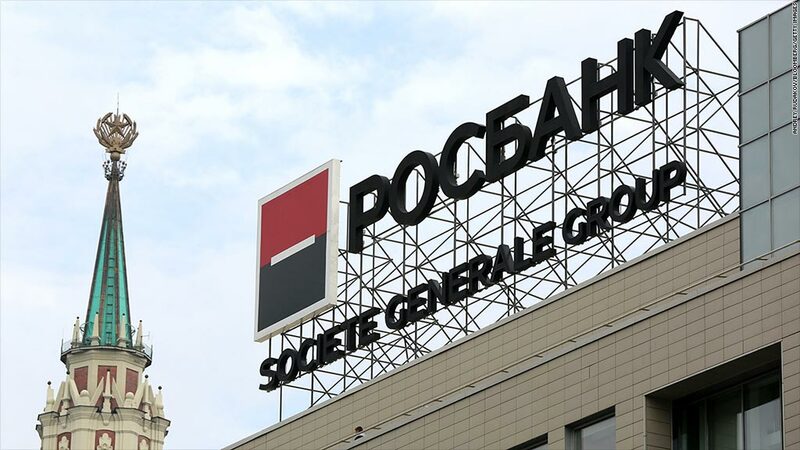 Societe Generale has written down the value of its Russian banking business by $730 million. The economic turmoil triggered by the Ukraine crisis is beginning to hurt major European companies. From banks to brewers, the slump in Russia's economy is taking its toll on sales and profits at businesses in the rest of Europe. Weak factory orders in Germany could point to worse to come. The International Monetary Fund says Russia has already been dragged into a recession as investors flee the emerging market for fear of being caught up in the escalating conflict in eastern Ukraine. The United States and Europe accuse Moscow of stoking separatist tension in Ukraine, following its annexation of Crimea. They've frozen the assets of dozens of Russian officials, and the U.S. has gone further by targeting 18 Russian companies. Harsher measures aimed at sectors of the Russian economy will follow, they warn, if Ukraine's presidential election on May 25 is put at risk. For some European companies, the damage is already being done. Danish brewer Carlsberg (CABGY) cut its earnings forecast for the year, blaming a bigger than expected fall in Russian demand and the weakness of the ruble -- which has slid more than 7% against the dollar this year. Carlsberg's beer sales in eastern Europe fell 7% by volume in the first quarter, while net revenue in the region plunged by twice as much due to the currency swings. Its shares have fallen 12% so far this year and lost more ground Wednesday. Societe Generale (SCGLF) is also suffering. It took a charge of 525 million euros ($730 million) for writing down the value of its Russian banking activities, slashing first quarter net profit to 416 million euros from 798 million in the same period last year. "The write down reflects the decline in ruble/euro exchange rate parities, the slowdown in the economy and an increase in Russia's risk premium in the current environment," the French bank said in a statement. Societe Generale shares fell 1.6% in Paris. French banks have lent the most to Russia, although the outstanding borrowing is worth less than 0.6% of the sector's total assets. Trade and investment between Russia and Europe is worth about $500 billion a year, and German companies are among the most exposed. 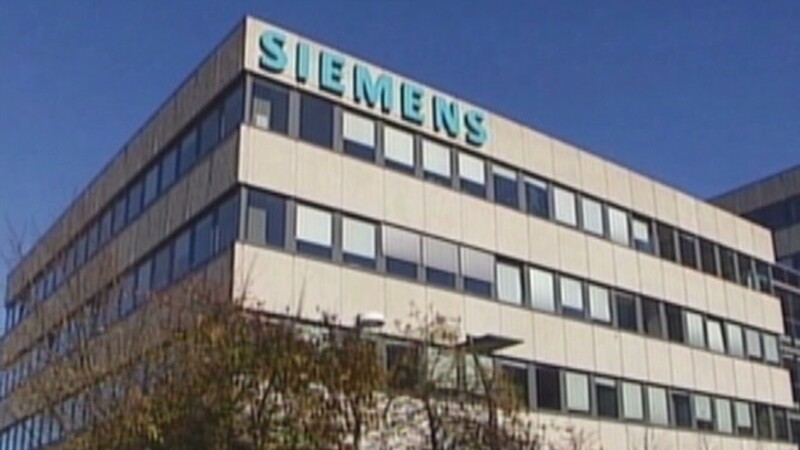 Engineering group Siemens (SI), which makes about 2 billion euros in annual sales in Russia, appears to have escaped unscathed so far. But CEO Joe Kaeser, who flew to Moscow in late March for a controversial meeting with Russian President Vladimir Putin, said the situation had since taken a serious turn for the worse. "I'm very, very concerned about the developments, and the time it takes to get the matter under control," he told CNN's Nina dos Santos. "It's very concerning -- it will hurt everybody, the society, the people and therefore it also hurts the economy." German factory orders in March fell by 2.8% compared to February, surprising analysts who were expecting a decline of only 0.2%. Some attributed the deterioration to regional tension. Others said it reflected the timing of big bulk orders, and the modest external shock from the Ukraine crisis would have only a slight dampening effect on growth in the second and third quarters.